As the state legislature begins the final month of the session- one big question is looming: How are lawmakers going to pay for the budget? Even with several hundred million dollars in cuts, the state has a more than 3 billion dollar deficit to fill. Members of the Republican-led Senate majority differ with Governor Bill Walker on whether the state must permanently address all of its budget problems this year – and whether the state needs new taxes. Much of the debate is focused on how far Permanent Fund earnings should be restructured to pay for government on an ongoing basis, like Walker has proposed. Or, whether to just draw from the earnings reserve like the state has in previous years, as some legislators favor. Senator Peter Micciche says the government only has to close part of the budget gap this year. In part, that’s because it can expect higher returns from oil prices in the future. 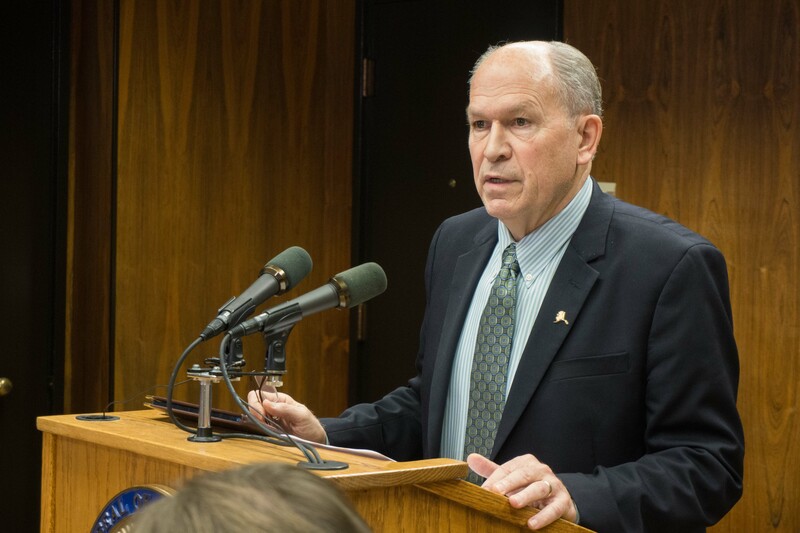 He sees similarities between Alaska’s situation – having saved money in Permanent Fund earnings – and that of a family saving for college. Governor Walker wants a long-term solution, so that the revenue the state brings in this year will be stable in the future. State Attorney General Craig Richards worked on the centerpiece of Walker’s plan – to change Permanent Fund earnings into a stable source of revenue. He says the state’s situation is more like a family facing retirement without its longtime source of revenue than a family paying for four years of college. Walker also supports introducing an income tax, and increasing other taxes, to build a sustainable budget. But Republican leaders are skeptical of the need for more taxes. They do want to draw from the Permanent Fund earnings reserve and other savings accounts – but with less extensive changes than those proposed by Walker. 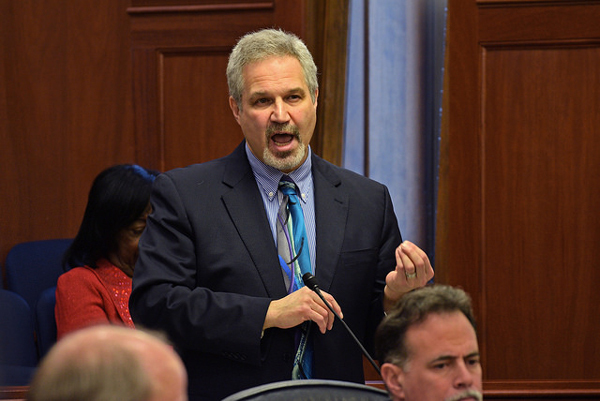 And Senate Budget Committee Co-Chairman Pete Kelly, a Fairbanks Republican, also wants to cut spending more. He says nothing happened to government services after the state sustained nearly 400 million dollars in cuts in the current budget year. Anchorage Democratic Senator Berta Gardner says she’s concerned that more cuts could destroy programs that would take time to rebuild. And she questioned Kelly’s statement that nothing happened after this year’s cuts. Gardner says an advantage of Walker’s approach is that it would affect all state residents – and nonresidents who make money in the state, in the case of the income tax. She notes that the state is facing credit downgrades if it doesn’t address the budget shortfall, which will raise the cost for the state to borrow money. Walker says he’s willing to work with legislators, but he wants that work to lead to a sustainable budget. Legislators expect to resolve how to pay for the budget toward the end of the legislative session.